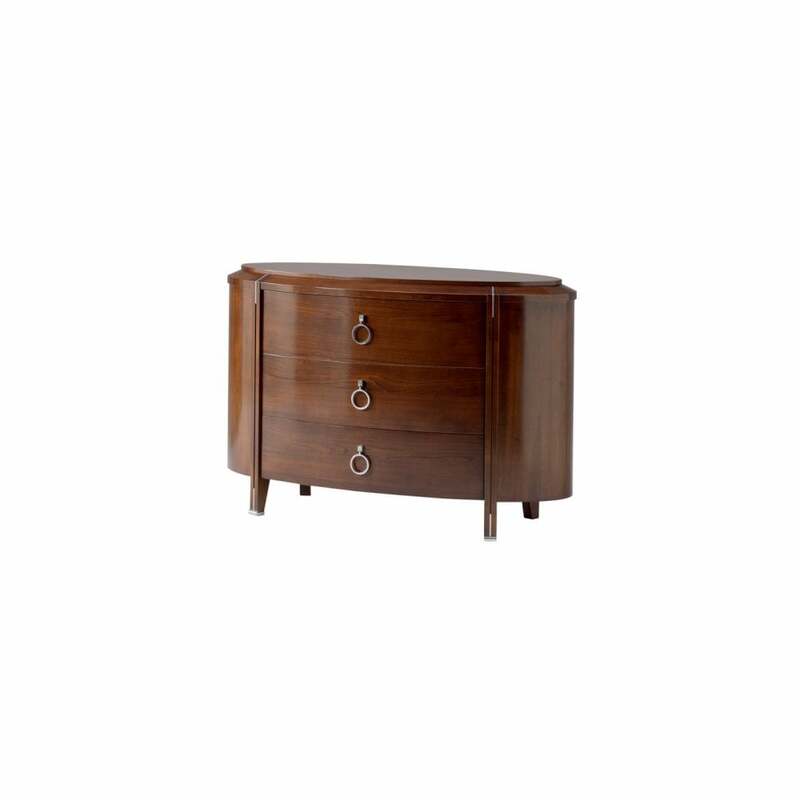 The Vendome Oval Chest of Drawers is another classic design in this range. The cylindrical shaping makes this a beautifully unique and desirable piece of furniture, this is further enhanced by the rich, glossy cherry veneer. The delicate details of decorative glossy chrome appliques on the legs and fluting of the pilasters very much enhance and complete this design by adding contrast of texture and light, the circular glossy chrome drawer handles add that classical flavour. With 3 drawers all with self closing motion for ease of use, you have substantial storage space for all your needs.